An important thing to remember about working with scallops is that you have to have everything prepared and you must work fast. Scallops are best when they are cooked to a medium or medium-rare. So get all of your ingredients prepared and in place so that your’re ready to get movin’. This is one of those dishes that is quick and easy, but looks like you’re showing off! 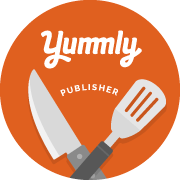 It’s great served as a salad or I like to serve the scallops with steamed Basmati rice served with roasted asparagus on the side. Rinse the scallops under cold running water, then pat dry with a clean paper towel. Sprinkle with salt and pepper. Pour the flour onto a plate and lightly dust the scallops with the flour. Heat olive oil and butter over medium-high heat. The pan needs to be very hot before adding the scallops so let it heat up just until it begins to smoke. Add scallops to pan and don’t move them! You want a nice golden brown crust to form and the center to turn opaque (about 2 minutes on one side and 1 minute to finish on the other). Do not overcook scallops as they will become rubbery. You should be able to easily cut them with a fork. Serve scallops immediately. To serve, fill each plate with a generous portion of fresh baby salad greens, then place about 6 scallops around the edge. Sprinkle each dish with toasted pine nuts and orange segments. 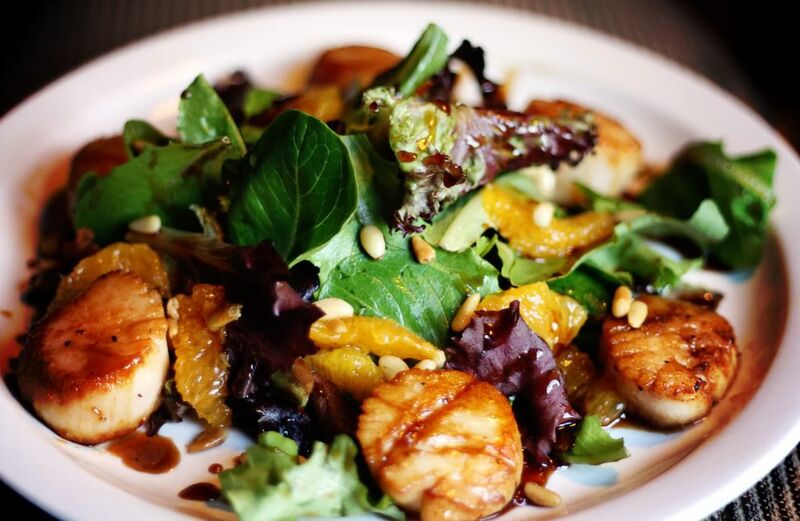 Drizzle salad and scallops with citrus balsamic glaze. Add all the ingredients to a small saucepan and bring to a boil. Cook over medium-high heat for a few minutes, until the mixture thickens enough to coat the back of a spoon.